Business Offers PowerPoint Template is a free PowerPoint template with Business Offers illustrations that you can download to make presentations on Business Offers. 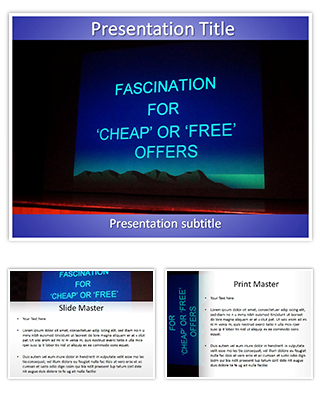 Download free Business Offers PowerPoint templates and make your presentation attractive. This Free Business Offers PowerPoint Template has 3 slides with some sample text, which is fully editable. Description : Download and use editabletemplates.com's Business Offers free powerpoint template. Be effective with your business PowerPoint presentations by using this Business Offers free PowerPoint theme. This Business Offers free powerpoint template is actually royalty free and easy to use. Try our Business Offers free powerpoint template download now for professional PowerPoint presentations with compelling PowerPoint backgrounds. This Business Offers PowerPoint template is a free PowerPoint template with advertisement, business, buyer, commerce and promotion etc., as theme, very useful for business presentations with a need of a city illustration in the slide design background. Download this Free PowerPoint Template to use it for your important business presentations. This Business Offers free PowerPoint theme design was created by our professional graphic designers! Use this Business Offers free powerpoint template download to place your content about advertisement, business, buyer, commerce and promotion etc., on the slides and you are good to go. The Business Offers image used in the free PowerPoint template is a part of the free product package that you can use freely for your project.